Trail between Lizarrusti port, the GR 12 in its stage to the port of Etxagarate, the environment of the dolmen and Berrenoa carriageway. 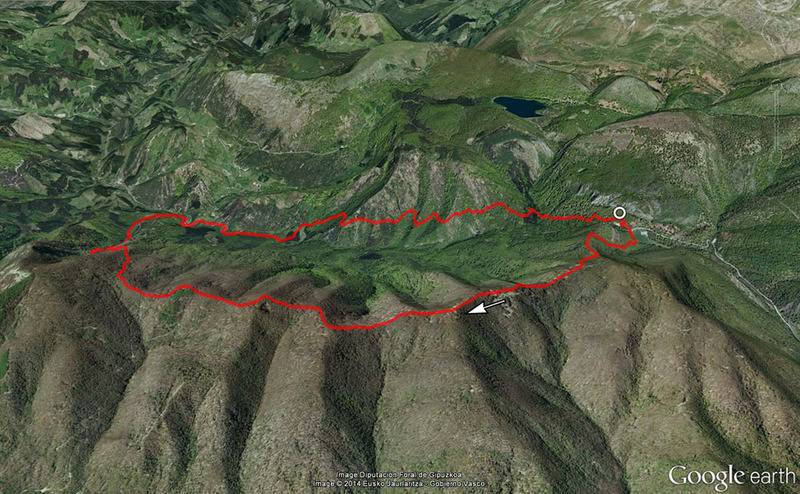 From there, it lowers already through Gipuzkoa and there is taken this marked trail which descends to Kaxeta. Then, it rises the Valley to meet the GR 20 and rounds Aralar coming back to Lizarrusti. The proximity of the border between Navarre and Gipuzkoa, will bring us to memory stories that long ago happened on these roads. Goods produced both on the coast and in the interior, were transported along paths through these woods. Black marketeers, thieves, muleteers and cartwrights, miqueletes, arbitraments, from the middle ages up to today, have been shaping and wearing off these roads. Along this way, we will find the pathway, the house of miqueletes, bridges, shelters, the house of arbitraments... witnesses of those adventures.